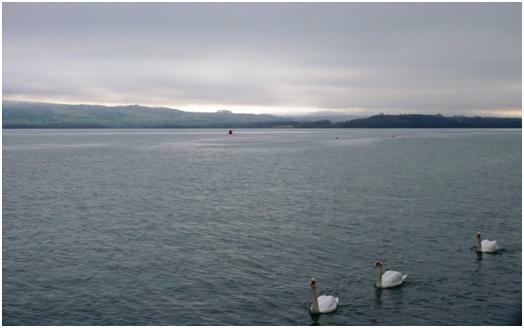 The Key road in North Wales is the A55, a dual carriageway that takes the traffic from the end of the M56 and winds it past the coast, quite spectacularly in some cases, before joining with the old A5 if one crosses the Menai Straits to Anglesey. Working south of Manchester, and finishing around lunchtime on a Friday, and fixtures down this road are easy to get to. 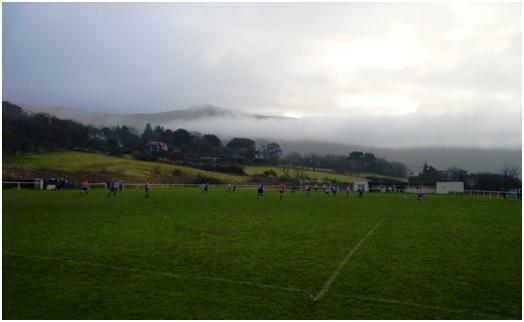 Friday night football is not rare in Wales, but most of the grounds staging it are floodlit and return again and again. It is only at the start and end of season that there is some variety. And so I found myself running down the road two Fridays in a row, at the end of August. Despite supporting many resorts, the traffic was not overtly heavy on either date, and so my runs were simple in themselves. On the North Welsh coast, the jewel is Llandudno, a resort made popular in Victorian times, and with the imposing hotel frontages along the bay. If you look on the internet, many of these hotels still charge quite high rates despite a tiredness and lack of recent investment. If you go beyond the room rates to the reviews, the words “Don’t stay here!” turn up with alarming frequency. Coming from England, the seaside towns between the border and Llandudno are brasher, dependent more on the working class shilling brought in by the railways. None more so than Rhyl, which does its best to be a mini-Blackpool on the North Welsh coast even if its equivalent of the golden mile appears to be no more than 400 metres, and then in nickel, flashing glaringly at those driving along the coast road. There is still a lot of business here  over two million visitors a year, although as most of them are day trippers or staying for a single night, the local economy is always has one eye on the weather forecast in an area where the weather can change (and never for the better) at the drop of a hat. 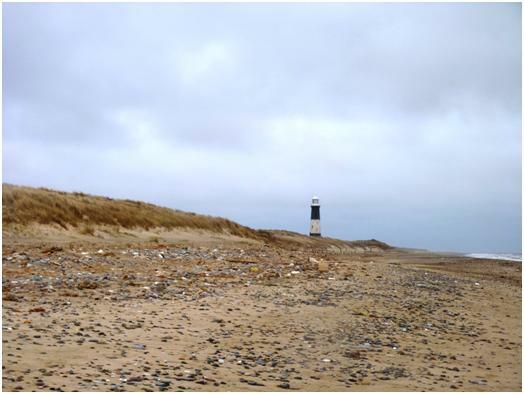 Missing the grandeur of Llandudno and the brashness of Rhyl, I ended up in Prestatyn. This is a more comfortable town, but with little except a beach to welcome the visitors. The Halcyon Quest Hotel is in the Good Beer Guide, but would never make a good hotel guide. Still, it was not overpriced, the landlord (when he arrived) was welcoming, the beer and the breakfast were both good and I slept well. My first game of the weekend was Kinmel Bay Sports, formerly known as Abergele Rovers, but now based (playing wise) at the local leisure centre, and (socially) at the Kinmel Bay sports and social club. Unusually the change in name and venue marks a merger with a local Girls team! They have benefited from recent changes in the Welsh Pyramid and have found a place in the second division of the Welsh Alliance. They may not have to finish particularly high to get promoted this season. The Cymru Alliance, which covers the Northern two thirds of the principality, wants to expand from one division to two, while the FA of Wales wants to re-arrange the borders between the Welsh Alliance, and the Welsh National League (Wrexham), with the latter taking on those Welsh Alliance clubs in the North East Wales area. I am not sure exactly what this means, but I am told the line between the two leagues will be drawn just east of Prestatyn, and will take a small number of teams out of the Welsh Alliance. On arriving at the ground, the first thing I saw was a couple of the other groundhoppers attracted by the Friday night game here. A slightly odd choice as rather than avoiding a clash, they were now playing at the same time as both Rhyl and Prestatyn. We also had the dubious pleasure of being able to hear the sounds of a nearby funfare. To be honest, this is not one of the more interesting grounds on my trips. The dressing rooms were built into the leisure centre, with the referee and his assistants changing somewhere inside, and then locking their bags into their car, demonstrating a lack of confidence in the security provided. Three officials are not always provided in this league, but Liam Gray showed some initiative in this respect, bringing both his father and grandfather along to run the lines. I cannot recall ever seeing three generations of the same family officiating at a single game. Liam is a young referee, quite recently called to officiate in the Welsh Alliance. Not surprisingly he also has an older brother, currently refereeing in the Cymru Alliance. Most of the surrounds to the playing surface were closed to the public, no spectators at either end, and the far side was used only for the team benches. Near to the centre, there was a wooden barrier, where the majority of the crowd (counted at 34) gathered. From about a third of the way town, the pitch-side became a cage enclosing floodlit tennis courts. There were a couple of more open pitches further away and beyond the tennis courts. A strong wind blew across the pitch throughout the game, making the evening very cool, but at least we did not suffer rain, as there was no shelter to be had. I thought the home side had the better of most of the game, but they went behind to a first half penalty and only levelled when an on the line clearance was adjudged just over by the well placed linesman. We were charged £1 for a programme, but no admission charges for what does not get above being a public park. The only refreshments were a vending machine within the centre, offering a 50p coffee. I needed the warmth, as the match itself was doing little to raise the temperature. Llandyrnog United led at half time, thanks to a penalty shortly before the break, Kinmel Bay levelled with 15 minutes to play and that is how the game finished. Dropping one other hopper near a railway station, I found my way back to the hotel and had a couple of pints before turning in. Another of the hoppers actually stayed at the same place, but I did not see him again until morning. 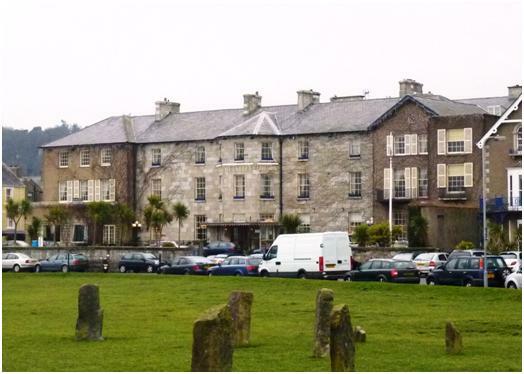 On a greyish morn, where the threat of rain was always made, but never quite delivered, I made my way to Penrhyncoch. 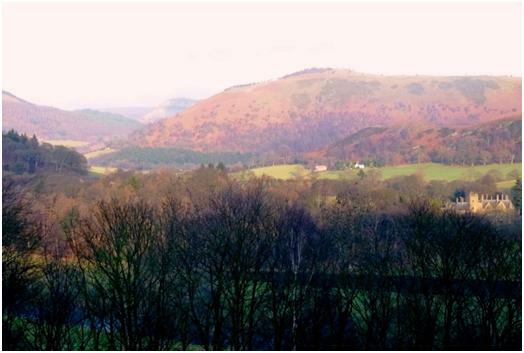 This is a small village not far from Aberystwyth in the centre of the country. The distance is not much over 80 miles, but as an indication of the difficulties that Welsh football suffers, it took me around two and a half hours to complete. This is similar to the journey Llandudno had to make for the game I saw, and trips that Penryncoch make on a pretty regular basis. I only counted 50 people at the game, (the official attendance figure was 70), and I can be sure that not all of them paid the full £4 admission, and a further pound for a programme. It is hard to see how this club is surviving, and to create a second division can do nothing to improve the standard of football in this part of Wales, it is surely more of a bid by league officials to make the own competition seem more important. Cae Baker is a smallish ground, quite tidy with a two separate covered areas, one providing around 50 seats, the other had standing for a similar number of people. On that side, there is plenty of space, but when I wandered around the other side for the second period, I was amazed how tight the space was, with a small area where there was no spectator space at all and then a very narrow grassway. 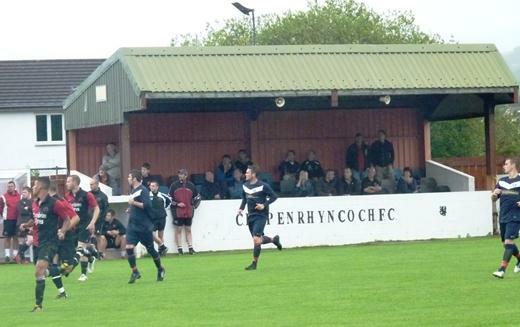 The biggest thing that this club has is a very good clubhouse, just across the road from the ground, (this may be the main road, but there are no busy roads in Penryhncoch). As the match started, we finally got the heavy shower we had expected, and I went to the back of the seated area to view the game. I thought Llandudno edged the first period which ended scoreless, and seeing how they allowed the ball to run away from them, I was expecting better after the break when they were to play up the slight incline. In the first four minutes, Llandudno had two chances, and I thought I was right, but then Penrhyncoch scored  a long shot from Josh Shaw. This completely changed the complexion of the game, and the homesters will count themselves unlucky not to have added two or three more, while the visitors never threatened again. As it was, 1-0 was the final result. 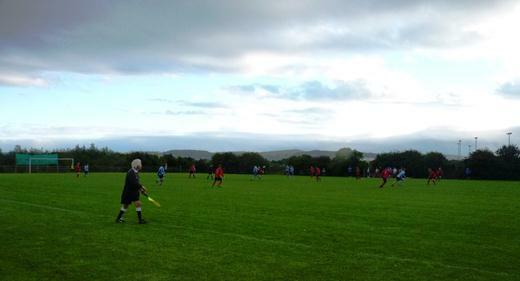 This was not my final match of the day, as there is a regular evening fixture in the Mid-Wales League (South). 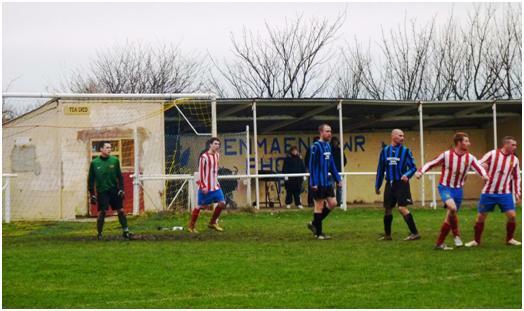 The match is St. Harmon & District v Rhayader Town (reserves). I had seen this fixture in 2009, and said I would not bother to return in poor weather, (no cover at the ground), but it had brightened up as I drove east along the A44, and so I went along. On arriving at St. Harmon, I noted the figure on my odometer as I passed the Sun Inn, used for dressing rooms. One then drives for over a mile, past the showgrounds, (it is the local show that causes the late kick off time), and left for about a quarter of a mile along a narrow drive (hoping no one is coming the other way). A mere 1.8 miles from the dressing rooms, you arrive at the playing fields. Parking is in the farmer’s yard opposite the ground entrance. I know of no ground further from its dressing rooms than this one. Some people I know have seen St Harmon on a different ground, closer to the main road, but this too was over a mile from the Sun Inn. Despite only offering a roped off field, this match had the largest of the three attendances for my games over this two day period, based at least on my own head counts. Both the Cymru and Welsh Alliance websites official showed figures well in excess of my numbers, whereas there is no official figure for St. Harmon. For the record, I put the number down as 68 hardy souls paying £2 to view this game on an unsettled evening, which at least stayed dry. 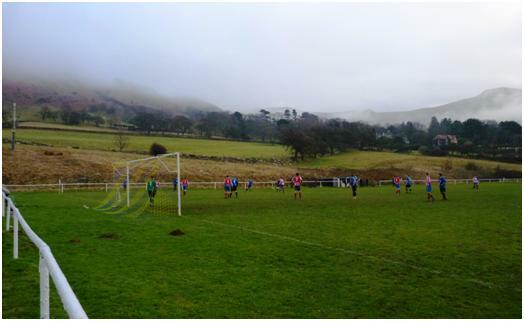 When I came two years ago to the same match, it was level (2-2) at half time, but then Rhayader scored three without reply in the second period. This time the difference was the game was scoreless on turning around. 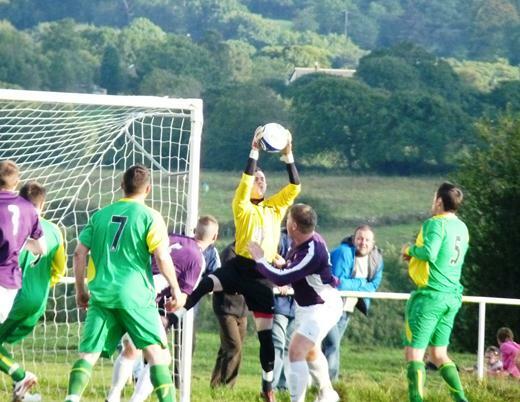 Rhayader still scored their three goals after the break. 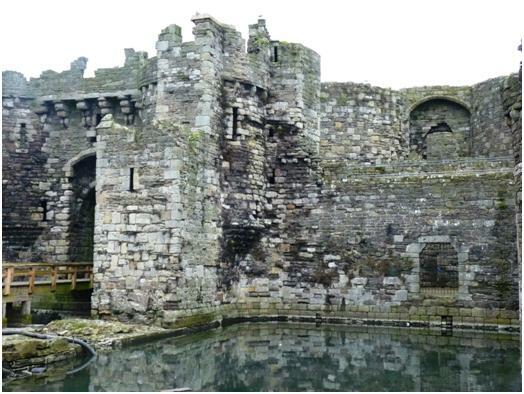 A week later, I was back in the principality, but this time travelling further along the North Coast before dropping down to avoid reaching the Menai straits, and ending up in Caernarfon. I had visited Caernarfon Town in the mid 1980s, when the club were at the top of the game. They had entered the Lancashire Combination in 1980, and as 1982 Champions, they became founder members of the North West Counties League, initially in Division Two, but winning promotion after only one season. 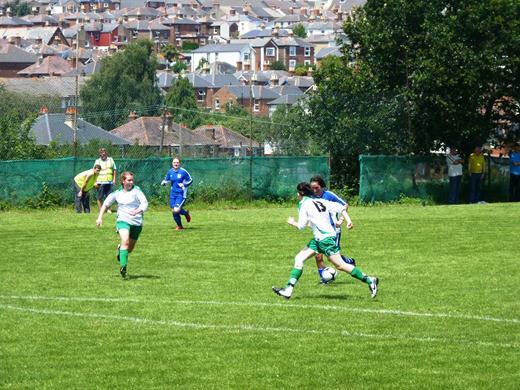 Two seasons later, they won a further promotion and were in the Northern Premier League. I visited them in 1986, the first of two seasons when they finished third in the league, and they may have believed a place in the Alliance (now Football Conference) awaited. To make the matters of their best season better, my visit was for a second round FA Cup match. Stockport County had been beaten in Round 1, and despite the fact I saw a scoreless draw, Caernarfon then won the replay at York to reach the 3rd Round, (they drew 0-0 to Barnsley, and lost 1-0 in the replay this time). The decline of the club has been almost as rapid. They were relegated in 1990, to the Northern Premier’s first division. They came close to returning after one season, but then the FA Wales threw the spanner into the works, insisting that Welsh clubs were no longer permitted in the English pyramid. Caernarfon were one of the clubs that resisted the change, and spent three seasons as exiles, with home match being played on English soil. When the Welsh clubs finally won their court case in 1995, it was too late for Caernarfon, and instead of returning home in the NPL, they instead joined the League of Wales. Except for one season in the Cymru Alliance they stayed in the League of Wales (later Welsh Premier League) until 2009. They then again spent only one season in the Cymru Alliance, but this time left through the wrong door, and so now find themselves at the third level, the Welsh Alliance. But not everyone has suffered from the vagrancies of Welsh Football Politics. 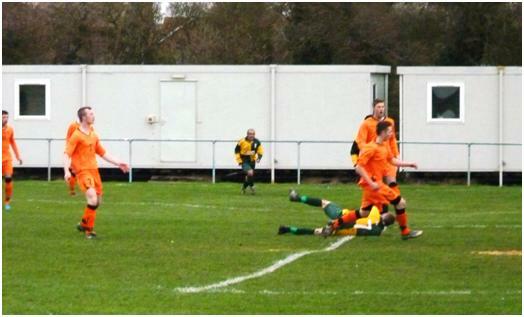 Caernarfon Wanderers gained a place in the Welsh Alliance’s second division, founded a season ago and partly offsetting the FA of Wales’ demands for smaller divisions. After a single promotion they are in a position to challenge their neighbours, with the first ever Caernarfon derby at League level. 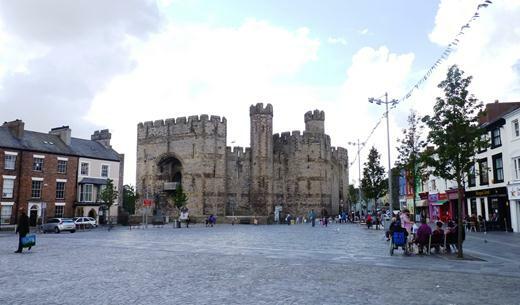 With its well preserved castle, and city walls, Caernarfon is a fine city to visit on a Sunny afternoon. However, if one climbs less than a mile outside the walls, one comes across a dismal housing estate. 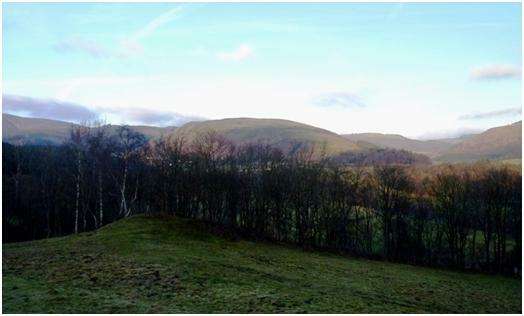 On the edge of this estate is Cae Top. 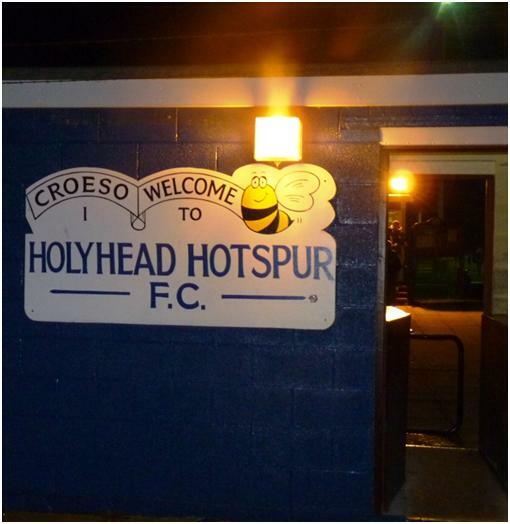 It seems to me that there is a habit of mixing English and Welsh words in the naming of football grounds in these parts. Certainly the words Top (Caernarfon Wanderers) and Baker (Penryncoch) do not sound very Welsh, so should I presume to semi-translate them as Baker’s Field and Top Field? 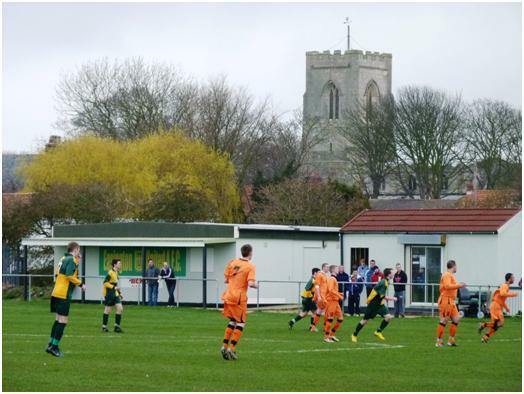 If so, I could remember I have already been to a ground called the Top Field, to see Hitchin  a team playing in Yellow and Green and nicknamed the Canaries. Familiar ground maybe for the Caernarfon Town fans. Anyway, Cae Top is a simple, railed off pitch, and not fully enclosed. Slightly down the hill, new School buildings are in the process of construction, and this has led to a freshly tarmacked driveway down one side of the pitch which leads to a new car park, currently fenced off behind one goal. This is destined to become a staff car park for the School, but with few matches on school days, and especially not during school hours, one hopes the Football Club will also be permitted to use it. The club currently has a small stony car park, and it was clearly going to fill quickly, I settled for street parking just outside, making sure to leave plenty of space for the frequent bus service around the corner. The officials of both clubs were very friendly and helpful. One of the visiting officials explained the Caernarfon Town club was being rebuilt on a more financially sustainable basis and with a more local accent. All but one of the players are now Welsh speakers. This contrasts greatly with the old style for some of the bigger clubs in this part of Wales, were a Liverpudlian accent was more common than a Welsh one. Indeed, while the costs of renting grounds and losing spectators did not help the club during their exile, players’ expenses may well have been lower! My groundhopping trips are not all far flung foreign adventures. I also spend my time trying to keep up with the game at home. Returning to visit clubs who have moved to new stadiums allows me to see again some significant rivals of old. Two successive days last month not only followed this pattern, but also gave me the satisfaction of once again having completed the visits to all grounds in the top four levels of non-League football in England. The first club of the trip was Chelmsford City. The old ground in New Writtle Street was in the centre of town. It was especially well known for the atmosphere at night games, which then, as well as now traditionally took place on a Monday night. Cheltenham and Chelmsford had a long rivalry, with Chelmsford joining the Southern League in 1938, just a couple of seasons after us. They were Champions of the Southern League in their second season, and repeated the feat in the first post war season, then again in 1968 and 1972. They have, however always had a reputation for more ambition than their finances permitted. The 1970s was a period when non-League football on the whole lost was finding support hard to come by, with a drastic reduction in gates compared to a decade before. Chelmsfords directors remained ambitious in this period, but ambition with dropping crowds, and a council set against other means of improving income (they rejected an ambitious bid to add office accommodation to the ground in the early seventies, and also the idea of using the ground for greyhound racing later in the decade) led to inevitable financial problems. A drop in form through the seventies led to the club being relegated from the Southern Leagues Premier Division in 1977, just two years before the formation of the Conference. Hence they were not among those applying for the new national league, and have been playing catch-up ever since. The club returned to the Southern Premier when it was reformed in 1982, and almost made it to the Conference (then Alliance Premier League) when finishing second to Welling in 1986. This was a flash in the pan, though and Chelmsford were struggling more than successful over the following years, (and relegated for a singular season, 1988-9). The story almost ended in 1993, when a supporters club buyout saved the club from liquidation. Somehow the club limped along in the Premier Division for another four seasons before relegation. But worse was to befall them in that season. When the club went through administration, the ground was one of the few saleable assets, and with it sold by the official receiver; they finally found themselves without a home at the start of 1997-8 season. 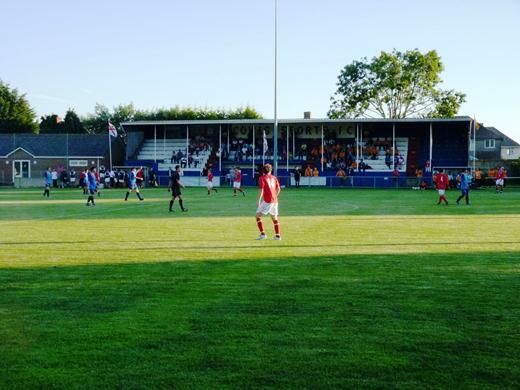 The club found solace ten miles away as tenants of Billericay Town, (they later also shared at Maldon Town), and they should have won promotion within a single season. However their promotion bid fell foul of the Southern League. 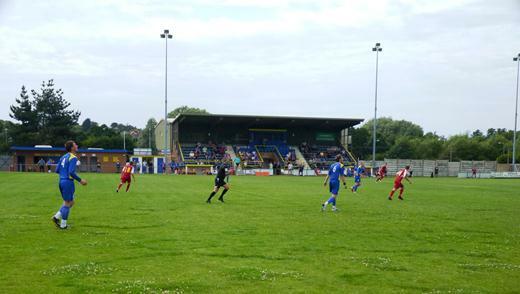 In what is seen by many people as a political decision as part of long running arguments between the Southern and Isthmian Leagues, the Southern League refused the accept the ground as suitable for Southern League Premier Division, even though it was graded to allow host club Billericay to be promoted that summer. 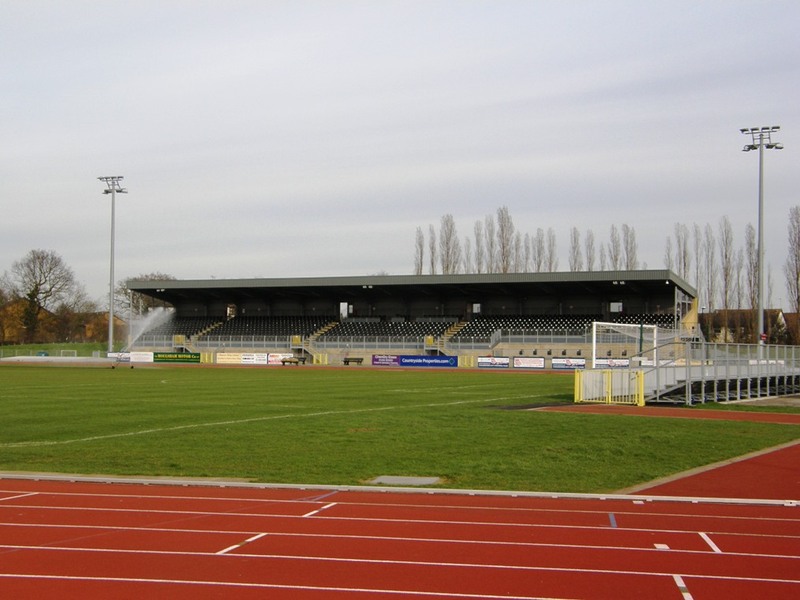 In 1998, the Southern and Isthmian Leagues set their own standards for promotion, but the inconsistencies between leagues was still showing last season when the Southern League graders failed the facilities for Evesham United, despite the fact they now share at Worcester City, playing at a higher level. Chelmsford had to wait another three seasons before promotion was again available. Those here that remember the Southern League will remember a league with a footprint covering most of the Southern part of the country, but with practically no clubs in the London area  that being the domain of the Isthmian League. By the start of this decade, most of Chelmsfords near neighbours were Isthmian League sides, rather than Southern. Chelmsford were therefore one of the winners when the FA finally managed to bring about a reformation of pyramid. The Southern League Premier area covers much of what we remember, but no longer includes any clubs in London, Sussex, Kent and Essex  the Isthmian League now had all of these, but has lost those clubs to the West and North of London, (some of whom have suffered since, as their travel bills have shot up). So Chelmsford are now one of the former Southern League sides that have moved leagues, and they are again on the up. Last season, they returned to playing in their home town, (despite the name, Chelmsford has never been a city). The situation is not ideal, playing on an athletics stadium in a residential area some two miles from the centre of town. 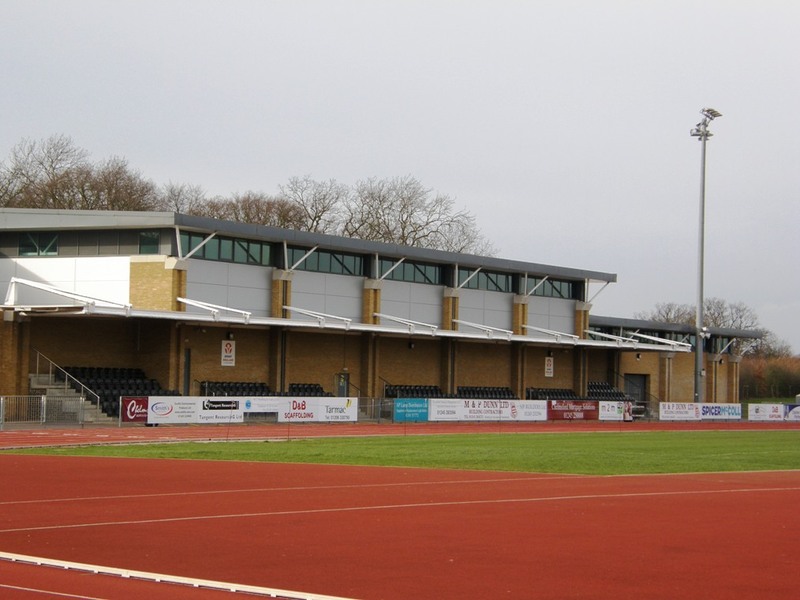 The ground consists of a main stand, with around a thousand seats, and raised well above ground level to allow reasonable viewing despite the track. A disabled section to the front of the stand is also raised, which made my viewing better as my friend Chris, who is confined to a wheelchair joined me for this one. Opposite this are a few more rows of seats, covered by a roof hung from an adjoining building  but this would be much poorer to watch from, lacking the height above ground. While most of the pitch surrounds are just level tarmac outside the track, behind both goals there about four steps of metal framed terracing  built up on the curve of grass inside the track  with walkways across the track defined by temporary fencing removed after every game. Apparently the ground has received a grading sufficient to allow it to be promoted to the Conference South, but the ambitions of the club must reach higher, and it is difficult to see how this can be achieved within the current surrounds. As for the game, visiting Carshalton Athletic are struggling in the lower reaches of the league, and never looked like a challenging opponent for league leaders Chelmsford, who won 3-0. The crowd was just over 1000, following 1190 two days earlier for the visit of Horsham. Since I visited, Chelmsford have consolidated their position at the top of the league, and the big result, a 3-2 win over AFC Wimbledon last Saturday (attendance 3201) means they are 11 points clear of their rivals with just seven games to play. Another day, another game. After heading East on the Monday, Tuesday was North to Wakefield. Now you may remember at the start of the article that I was visiting old rivals of Cheltenham  but you may also say that Cheltenham have never played Wakefield. 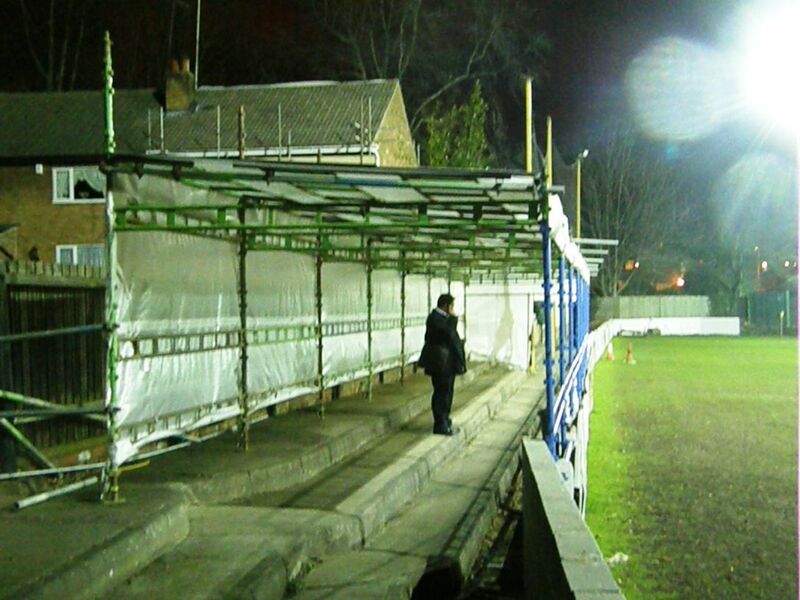 This is because of another tale of ground moves and obscure ground grading regulations. 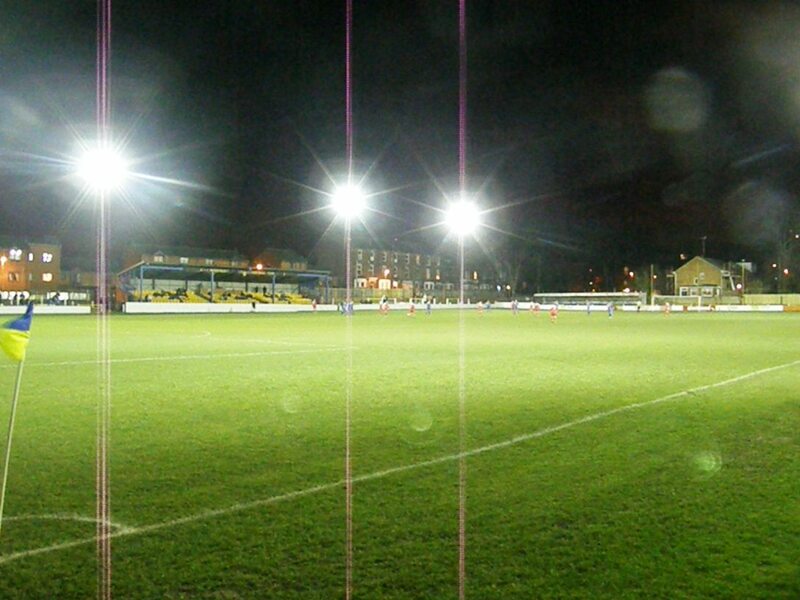 While Cheltenham have not played in Wakefield, they have been up on the moors above the town, where they played Emley in the quarter-final of the FA Trophy. Cheltenham won that afternoon, (a fraction short of 9 years ago) with a single goal from Neil Howarth, in front of 1239. Emley started to make their name in the 1960s, when as a member of the Huddersfield League, they reached the last 16 of the old FA Amateur Cup and squeezed over 5000 into the Welfare ground when losing to Barking. 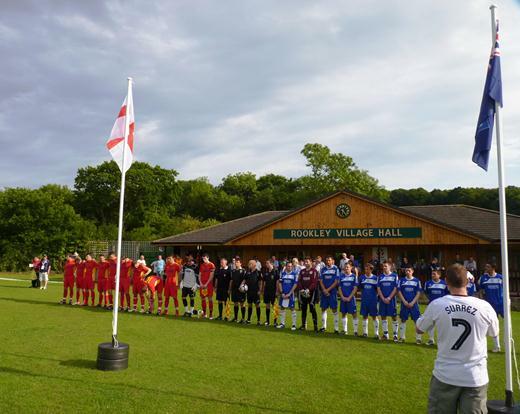 They joined the Yorkshire League the season after that victory and won the title four times before the league became part of the Northern Counties (East) League which was founded in 1982. It took a couple of seasons before Emley found their feet, but by the middle of the decade they were one of the leading lights of the new league. Emley reached the semi-final of the FA Vase in 1987 and then the Wembley final a year later  losing to the well financed Colne Dynamoes by a single extra time goal. Also in 1988, Emley were league champions, but promotion was denied as the ground was considered not up to standard. Retaining the title a year later, they were now promoted to the Northern Premier Leagues lower division. Two seasons later they reached the Premier, and also went on a run to the quarter-finals of the FA Trophy, losing to Kidderminster. More success followed, with a run to the third round of the FA Cup in 1998, beating Lincoln City in round 2. 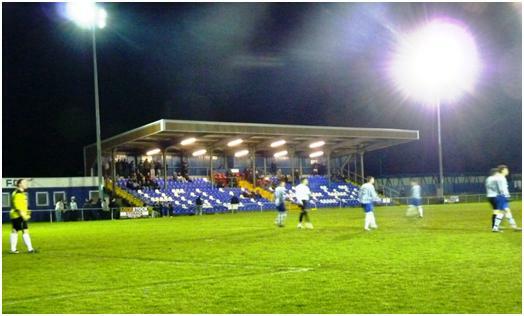 When they finished runners-up in the Northern Premier League to Stalybridge in 2001, 3708 people turned up for the final home game, when Stalybridge won 3-2 and ended up taking the title by just one point. Still, knowing that whatever happened, promotion to the Conference would be denied to Emley at the Welfare ground, the following season they moved in to share the Rugby League ground of Wakefield Wildcats. After a year the renamed themselves Wakefield & Emley (and later tried Wakefield-Emley), but this did nothing to help the club out of decline, and crowds have dropped season by season since the move. 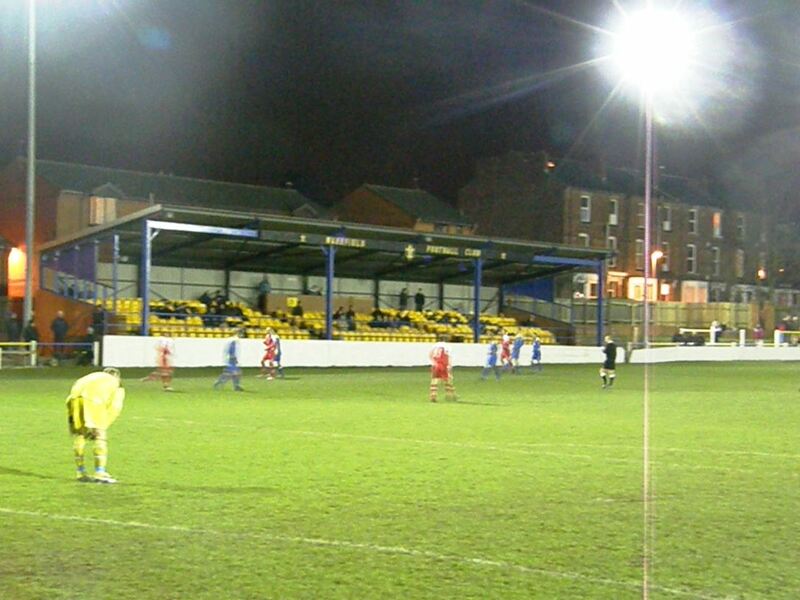 The clubs reserve team never moved away from the Welfare ground, and in 2005 they divorced themselves from the old club and joined the West Yorkshire League as AFC Emley, gaining election to the Northern Counties (East) a year later. Wakefield-Emley reacted to the change by dropping the Emley part of the name and moving again, from the rather oversized Rugby League ground, to the smaller confines of the what was a Rugby Union ground, until the club had gone bankrupt. They also suffered relegation at the same time. What they have gained is a neat ground, with seating for around 300 and some terracing each side of the stand. The badge on the stand is that of the old Rugby club, and in fact the name Wakefield Football Club is displayed. A small piece of cover has been erected, for no apparent purpose behind the goal furthest from the entrance. This consists of scaffold poles covered by thin plastic above three steps of terrace. Having narrowly avoided relegation last season, Wakefield have done a little better this time, and are currently in mid-table. I saw them lose a disappointing game to promotion challengers Curzon Ashton by 1-0. The crowd was just 98, close on the average for the season of 102 (the lowest in the division). Meanwhile, two divisions lower, AFC Emley are also in mid-table  but have average crowds of 121. A Thursday night in South East London. The area around the Millennium Dome (to be more accurate, the O2 Arena is its current designation), is eerily quiet. Most of the area around North Greenwich tube station is given over to car parks, and the only life appears to be those people changing from the tube onto local bus services. The dome itself is lit up, with advertising for coming attractions, and behind the dome, one can see across the river where the towers of Canary Wharf are lit brightly against the night sky. In the opposite direction, there is an inconspicuous building, what appears to be the curved roofs of two warehouses. As one gets closer, you can see that these are not standard warehouses, the roofs and upper walls are made of a fabric which rustles in the wind, and the logo on the end sections are that of a stylised footballer. The building is, in fact, the David Beckham Academy. A place where the youngsters of today have the chance to get a days football training for the not exactly paltry sum of £80. As a business venture, I am sure that it is going to be a success, (there are other similar ventures (without the icons name attached) running in London, and I am sure they will be hitting the rest of the country soon)  but this goes beyond just being a training facility. It provides two full size football pitches, (using the most modern of artificial surfaces) inside tents, and therefore protected from all but the worst that British weather can throw. When the good people met back in 1863 to form the Football Association, they had in mind the ideals of amateur sport which has not survived the subsequent mixing with the real world. One can mourn the passing of these ideals, but had football not grown up; it would have stayed an elitist sport and something else would be the game of the people. There was one group of people that would have no truck with the introduction of professionalism, with the result that the Amateur Football Alliance split from the FA just over one hundred years ago. The split did not last long  the AFA returned to the FA fold as a County Football Association, with the ability to run its own competitions. Their game has developed since mainly in London and the South East based on old boys clubs and large sports clubs, (some of which are private, some company owned). It is not co-incidental that AFA members include the sports clubs of large financial institutions, (all the big banks, including the Bank of England and major insurance companies). While there is no absolute model, AFA clubs are typically on large playing fields with many pitches (and often other sports as well as football) and a large club house. The building of spectator facilities are minimal. These clubs do present a style of exclusivity that can make non-members feel unwelcome at first. 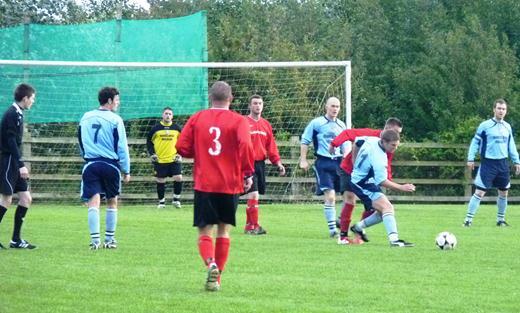 The two main leagues are the Southern Amateur League and the Amateur Football Combination. The latter was a merger of two leagues about 10 years ago and includes a large number of Old Boys clubs. 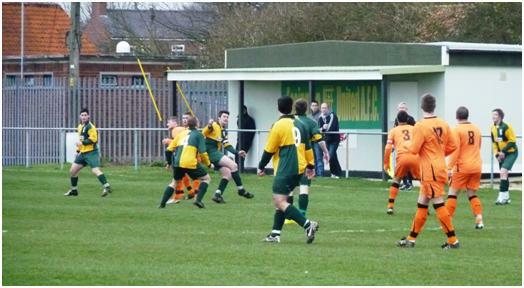 The Southern Amateur League is considered to strongest of the leagues  until the FA introduced ground facility regulations, SAL clubs could compete in the FA Vase although they were never over successful. 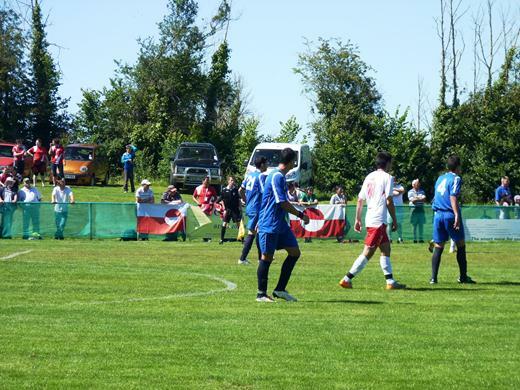 It is another feature of the Amateur game that made the Amateur game of interest to the groundhoppers. This is their regular representative games. When I was first introduced to these, there was a regular series of games, although always organised on a slightly informal friendly basis  between the various leagues, the AFA itself, and representatives of the major Universities (Oxford, Cambridge and London only), the Civil Service and the Armed forces. Most of these took place on midweek afternoons, allowing the more crazy football supporter to run around and tick additional games. Although the Amateurs themselves may have been in it for fun, and selected their home venues as ones suitable to put on a bit of a do for the old boys in blazers who run the AFA and followed these fixtures, some of their opponents had more serious events to build up to. For Oxford and Cambridge University, these matches were all about the build up to the Varsity game, and for the Services, it was in preparation for the inter-services competition each spring. The Civil Service may play games against the services and the AFA, but they never stuck to amateur players  I have seen players from Enfield (then the top non-League side in the country), Liskeard Athletic and Newcastle Blue Star playing together for Civil Service. Until this week, I had not been to a representative game for 16 years. I think partly this primarily due to changes in my life, meaning I wanted to use my leave for other purposes. More recently, when I might have gone to a few, I have found the pattern of afternoon games has been lost in recent years, replaced by floodlit matches on standard non-League grounds. But back to the David Beckham Academy. 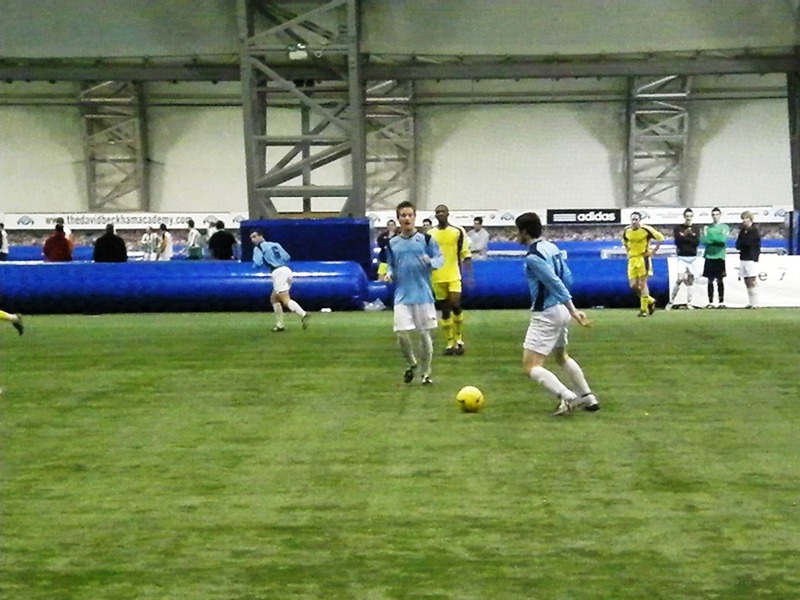 As well as staging its training courses, the Academy hires out its pitches every evening. One of its regular tenants is the London Legal League, which stages matches there most Thursdays. I would not consider the Legal League to be the pinnacle of non-League football, or even of the AFA game. I have never considered going to one of their league matches, and this is not likely to change. What attracted me to this match was the uniqueness of the venue. In this I was not disappointed, and as a bonus I got to see a half decent football match as well. The entrance to the academy is just like any other leisure centre, but one then walks down a corridor displaying mementos of the icons career  some of his England shirts, some shirts from illustrious opponents, and a series of boots. 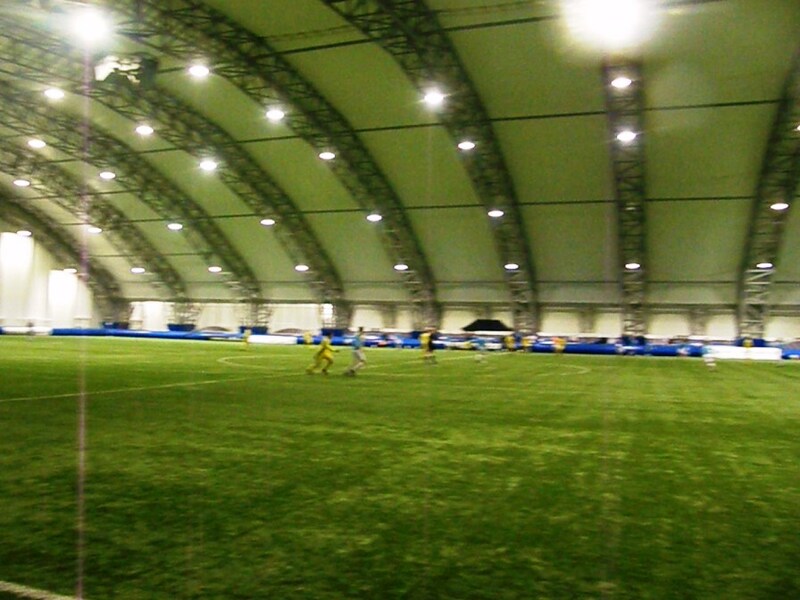 The pitches themselves are below two curved fabric roofs held up by a steel infrastructure. The buildings have the feel of small aircraft hangers. The pitches are full size, and by that I do not mean legal minimum size for football, but suitable for league and international games. The curves of the roof are not very high at the sides (the supports come to the ground between the pitches) and the ball twice hit them during the game. The referee restarted with drop balls. The pitch is surrounded by inflated sausages about three foot in diameter, and continually inflated with compressed air, like the outside of a massive bouncy castle. There are no spectator facilities as such, and a cafe area for parents use while their children are on the courses was closed. The Legal League team are drawn from teams which in turn are drawn from the employees of the various legal firms in the city. The visitors, Cambridge University are students vying for places in the varsity game. The remains of the old amateur ethic is still present in two ways. Some uncompromising tackles, which would have David Beckham himself writhing on the ground for several minutes were not actually treated, and the referee was treated with respect, the only cards given being for fouls, not dissent. The first half was entertaining and even, with a number of chances going begging before the University took the lead from a penalty. The Legal League equalised with a powerful header from Rob Carter just on the stroke of half time, and the same player added a second early in the second half. But as the game progressed, the students were demonstrate ably fitter than their opponents and also appeared to benefit from having played together more. It was no surprise they eventually turned out 4-2 winners. You are currently browsing the archives for the Travels in the UK category.